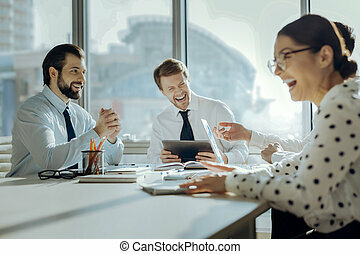 Cheerful colleagues joking during business meeting. 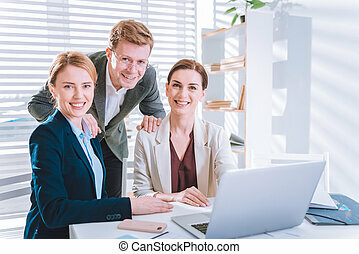 Close-knit team. 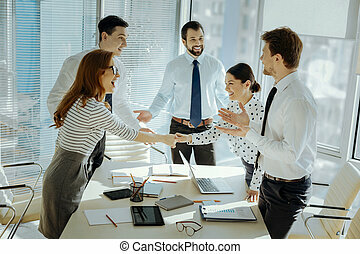 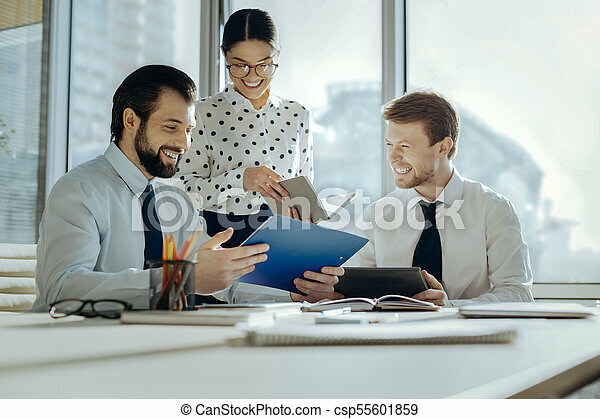 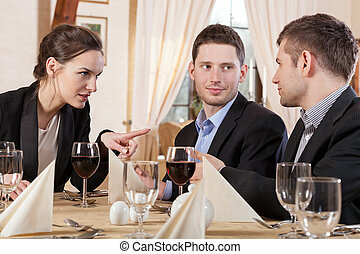 upbeat young colleagues carrying out a business meeting in the conference room and joking together. 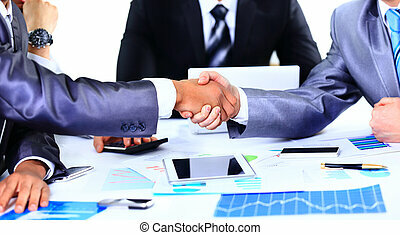 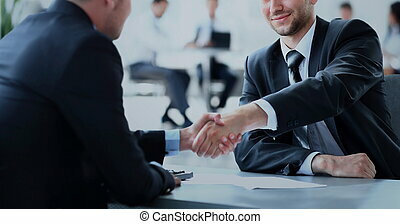 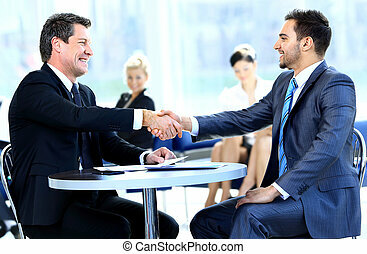 Two business colleagues handshake during meeting. 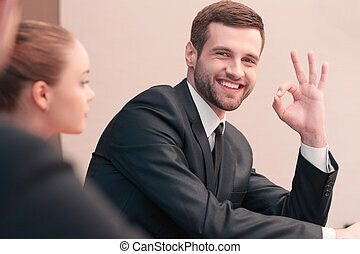 Such a good idea. 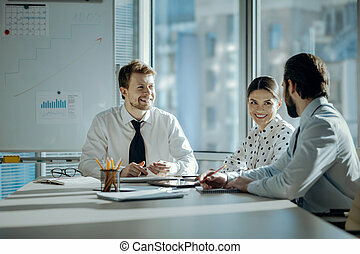 Selective focus on a pretty brunette grinning broadly while listening to her young male coworker speaking about innovative strategies and making some notes. 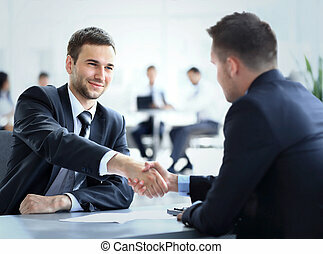 We should try this. 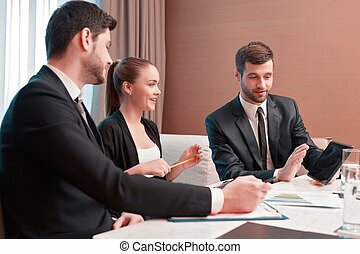 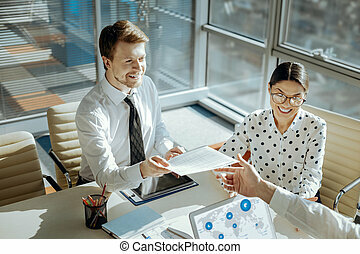 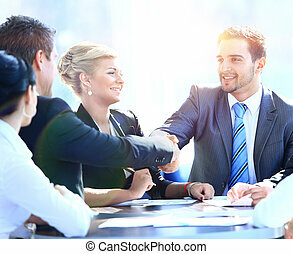 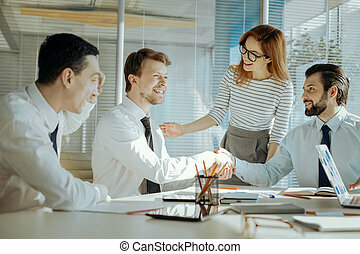 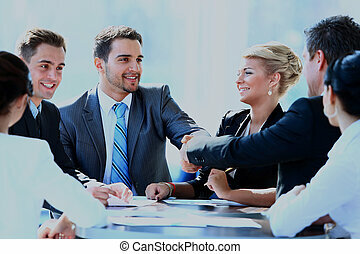 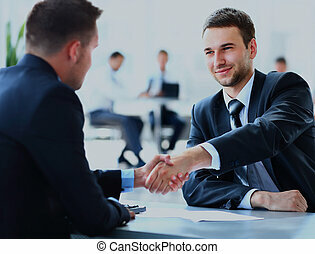 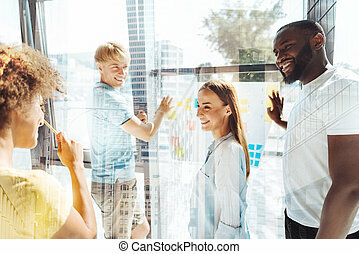 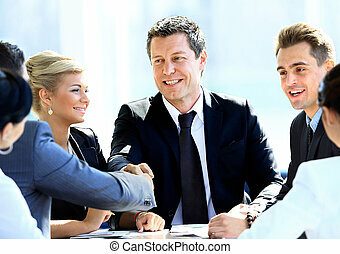 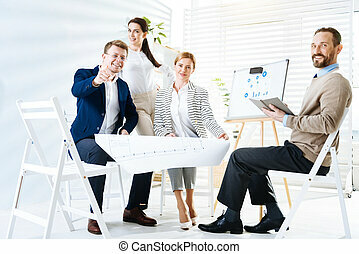 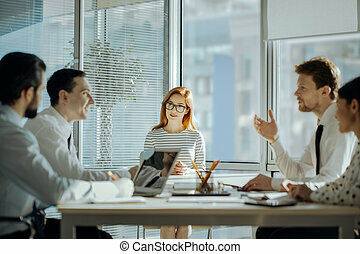 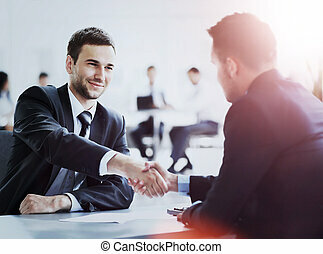 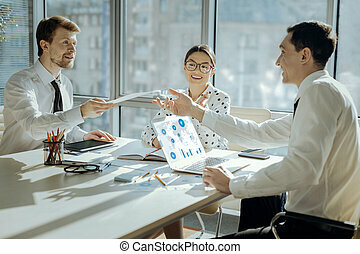 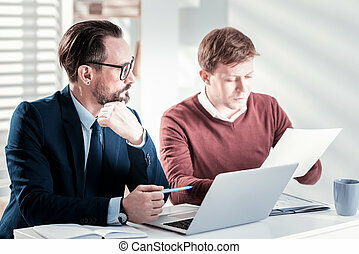 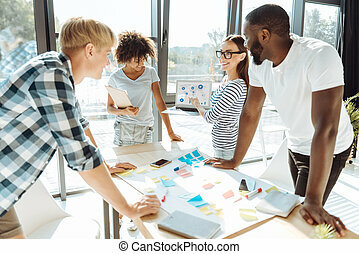 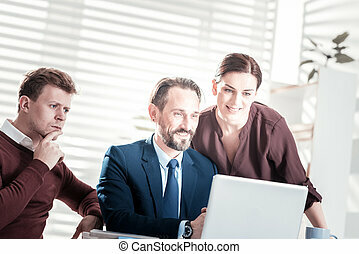 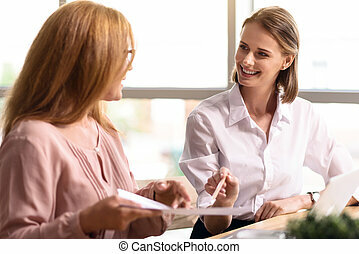 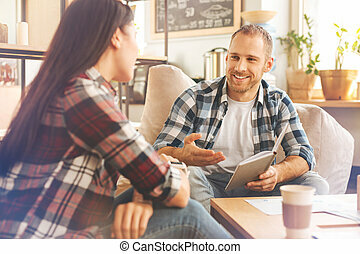 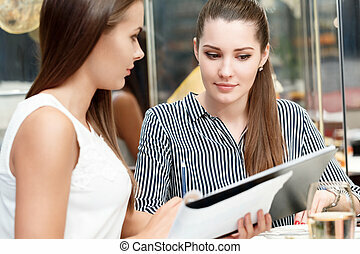 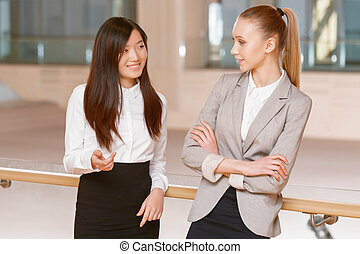 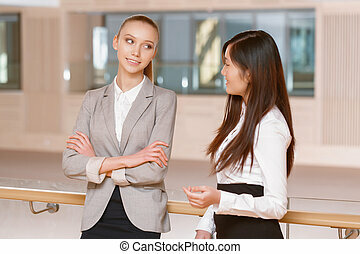 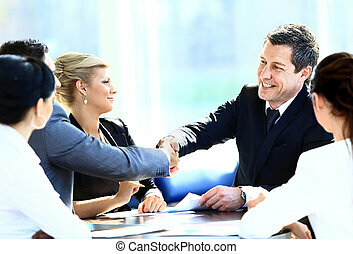 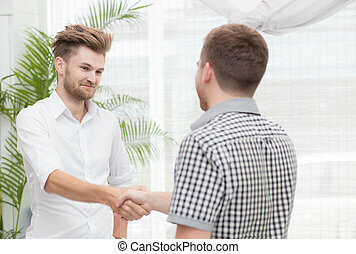 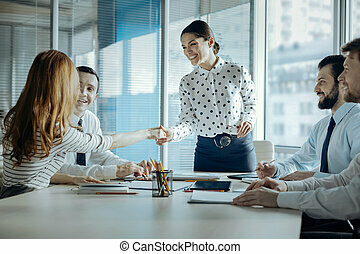 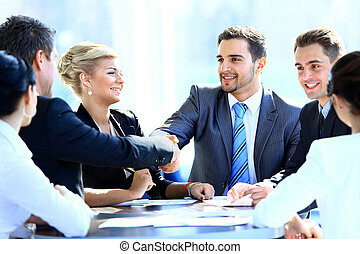 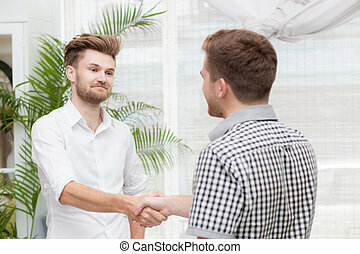 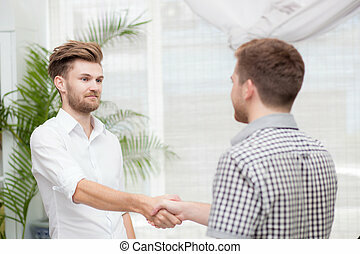 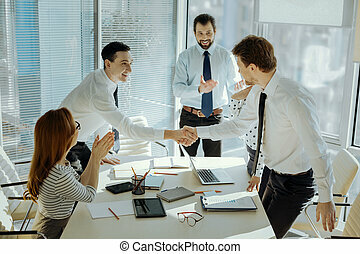 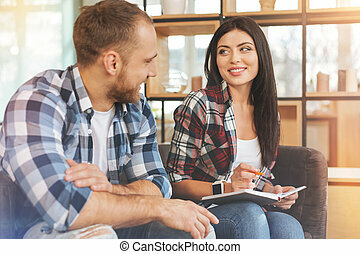 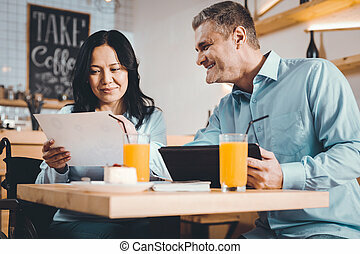 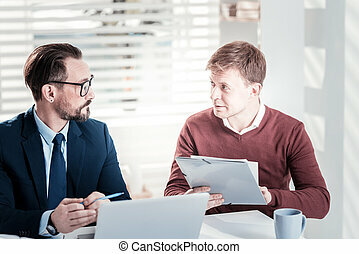 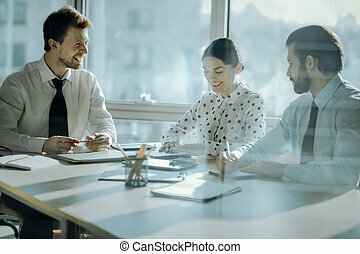 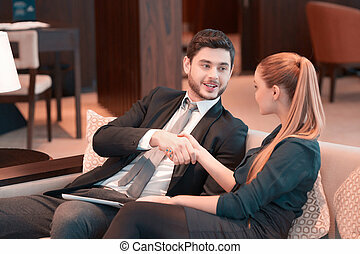 Radiant young business people wearing casual attire meeting outside their office and discussing business strategies in a friendly atmosphere.